In case you missed it, a new lineup of MacBook Pros was released late last year. While the iconic Apple laptops had new features like the Touch Bar, it lacked the power that a lot of “Pro” users were looking for. Add that to the lineup of an already underpowered 12-inch MacBook and that doesn’t leave many options for professionals who need some processing power to push their software. Now a rumor from known Apple insider and KGI Securities analyst Ming-Chi Kuo, faster MacBook Pros could be coming soon. Reported on by _MacRumors, the note from Kuo states that we’ll be getting updated versions of both the 12-inch MacBook and the new MacBook Pros this year. 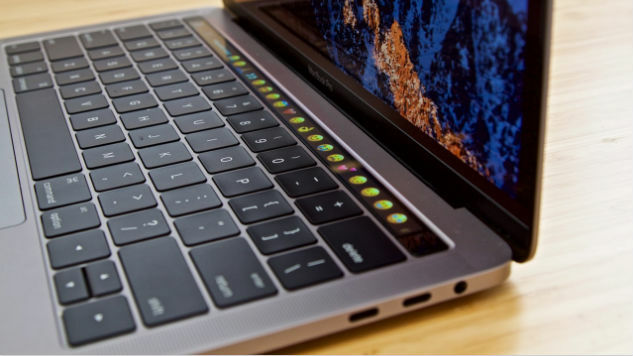 The biggest addition to both the MacBook and MacBook Pro is Intel’s latest chipset, Kaby Lake. Many were disappointed to see the MacBook Pro launch last year without this chipset, so it will likely please many fans. According to Kuo, both the 13 and 15-inch MacBook Pros are looking to go into production sometime in early third quarter. Kuo’s note also indicated the 13-inch MacBook Pro without Touch Bar will be getting a price cut to take the place of the MacBook Air line. As it stands, the 13-inch MacBook Air goes for $999, while the 13-inch MacBook Pro starts at $1499. In other words, that would have to be a pretty significant price cut to make up the difference. The note is also confirmation that the “Air” brand, which hasn’t been touched since the 2015, is essentially dead. The report indicates that we’ll also be getting an alternate 15-inch laptop, that’s been beefed up to include 32GB of RAM. This mystery laptop seems like it fits into the “MacBook Pro” brand, though Kuo claims that it will be “the most significantly redesigned product this year.” This product also seems to be coming out latest, with Kuo indicating that it won’t go into mass production until the early fourth quarter. The updated MacBook, which looks to be going into production significantly earlier (early second quarter), is also going to get the Kaby Lake upgrade. Kuo’s note specified that we could be seeing a 16GB RAM option on the MacBook, possibly as a high-end configuration. It still seems unclear whether or not we’ll see Apple introduce the Touch Bar to the MacBook line. According to MacRumors_, “Kuo believes the new Kaby Lake notebooks will be power efficient, which may positively affect shipments.” There’s no denying that Mac users have been clamoring for a true “Pro” laptop and it looks likes Apple is attempting to answer the call with its MacBook updates this year. When will we see some of these announcements come? Apple usually holds an event in March, which is when the company first unveiled the MacBook back in 2015. Last year the event was reserved for the launch of the 9.7-inch iPad Pro and the iPhone SE. This year our prediction is a return of focus to the MacBook and updated iPads (both Pro and mini) for its March event.